A highlight of the 2016 Annual Conference of the International Association of Convention Centres (AIPC) held last week in Nantes, France was the presentation of the 2016 AIPC Apex Award made in recognition of the highest client rating received by a convention centre to the Brisbane Convention & Exhibition Centre of Australia. The Award was made from a group of 15 finalists, all of whom had qualified for the competition by achieving a high level of client testimonials to serve as the basis for an independent evaluation and analysis by the international market research firm Ipsos. 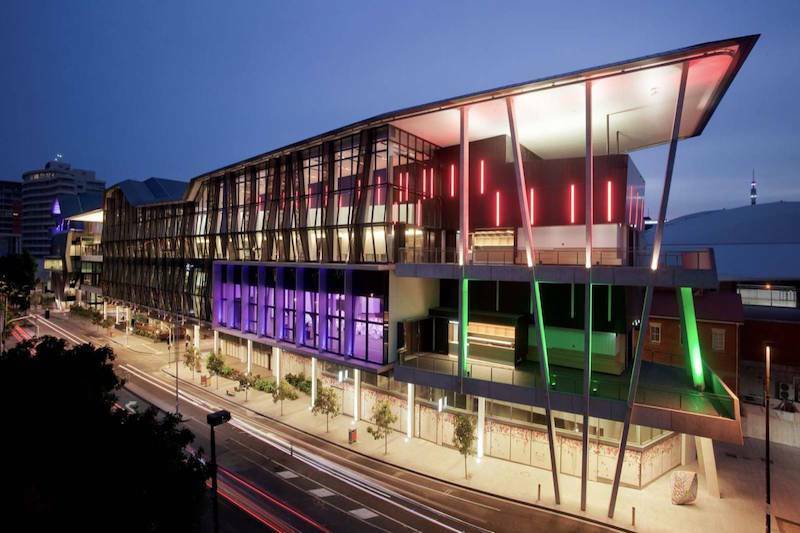 In receiving the Award BCEC General Manager Bob O’Keeffe said the win was the pinnacle of the Centre’s 158 industry awards, and the highest global acclaim both for the Centre’s capabilities and for Brisbane as a leading international meetings destination. “It is a great honour, and I believe a tribute to the dedicated and passionate AEG Ogden team that has operated the venue for the past 21 years”, said O’Keefe. “The Apex Award is an international benchmark for industry excellence, and we are excited that we have managed to achieve this kind of recognition”. AIPC President Geoff Donaghy noted that the AIPC Apex Award is based on an extensive analysis of customer input via detailed surveys, and reflects an unbiased picture of a centre’s performance as seen through the eyes of its customers. “The Apex Award analysis is an extensive one that is able to make the distinctions that separate even the highest performing centres and covers a range of categories including facilities, project management, customer relations, catering, creativity and technology ," said Donaghy. "With almost 1,000 client assessments going into this year’s award, we are able to clearly distinguish the factors that are generally most important to clients in their determination of centre performance, which gives our members and additional insight to drive performance”. The AIPC Board also recognized two runners-up to this year’s award; the Kongresskultur Bregenz GmbH, Austria and the Hawaii Convention Center. “Our runners-up also deserve recognition, given the very high standards required to compete in this program”, said Donaghy. “We truly feel that everyone is a winner in this process, as the AIPC Apex Award process goes far beyond simply identifying the winners and in fact creates important information and insights that drive overall centre performance. These insights can be and are in fact used to great advantage to all entrants to advance their products".